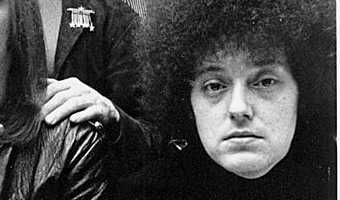 Melody Baetens The Detroit News Published 5:36 PM EDT Oct 9, 2018 MC5 nominated for Rock and Roll Hall of Fame, again Nominees for the Rock and Roll Hall of Fame’s 2019 class are in, and they include classic rockers, singers, hip-hop stars and, once again, Detroit’s MC5. This will be the fourth time the influential rock group has been nominated. Eligible since 1991, the rock group was nominated in 2003, ’17 and ’18 but failed to get enough votes to be inducted. The “Kick Out the Jams” band is up against Def Leppard, Devo, John Prine, Roxy Music, Stevie Nicks and Todd Rundgren – who are all nominated for the first time – plus previous nominees Janet Jackson, Radiohead, the Cure, the Zombies, Rufus featuring Chaka Khan, Rage Against the Machine, and LL Cool J. Fans can cast votes through 11:59 p.m. Dec. 9 at rockhall.com. Dave LewAllen named permanent evening anchor at WXYZ Television news anchor Dave LewAllen … [Read more...] about The Michigan rock band has been nominated four times since 2003. By Andrew Dansby Published 8:21 am CDT, Tuesday, October 9, 2018 Stevie Nicks performs during her 24 Karat Gold Tour at the Toyota Center Saturday Oct. 29,2016. (Dave Rossman photo) Stevie Nicks performs during her 24 Karat Gold Tour at the Toyota Center Saturday Oct. 29,2016. (Dave Rossman photo) Photo: Dave Rossman, For The Chronicle Rage Against The Machine will reunite and play the festival circuit. Lollapalooza anyone? Rage Against The Machine will reunite and play the festival circuit. Lollapalooza anyone? Photo: Getty Chaka Khan performs at the Arena Theater Friday Aug. 12,2016. (Dave Rossman Photo) Chaka Khan performs at the Arena Theater Friday Aug. 12,2016. (Dave Rossman Photo) Photo: Dave Rossman, For The Chronicle Singer-songwriter John Prine, courtesy of Oh Boy … [Read more...] about Rock Hall: Rage Against the Machine and Stevie Nicks? How did we get here?